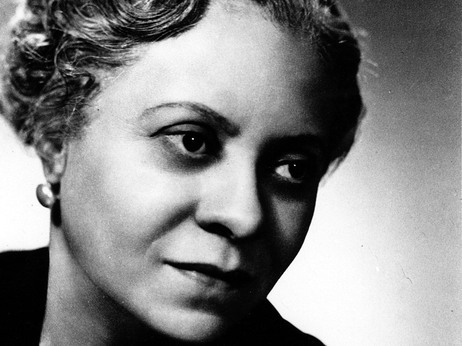 On the cusp of Black and Women’s History Months, we’re celebrating that 80 years after her orchestral debut Florence Beatrice Price is currently making a comeback on the concert stage—thanks in no small part to conductor Mei-Ann Chen. Chen, maestro of both the Memphis Symphony and the Chicago Sinfonietta performed Price’s The Oak as part of a January tribute to Dr. Martin Luther King on the occasion of national remembrances of his birthday. 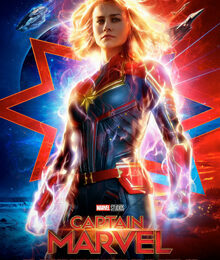 Then, in February, she took the podium to guest-conduct the San Diego Symphony in a performance of Price’s 30-minute tone poem Mississippi River. The latter serves as a warm-up for what will later this spring be the biggest platform for Price (and Chen): a premiere of Mississippi River by the Chicago Symphony Orchestra. Returning to the Chicago Symphony stage is, of course, a homecoming of sorts for Price. The Arkansas native studied at the New England Conservatory of Music (as did Chen, coincidentally) and although she initially returned home where she taught music and composed short pieces for the piano, the racial tensions and violence in the south during the 1920s eventually precipitated a move to Chicago in 1927. There she became both teacher and student as she availed herself of the many professional opportunities to continue her musical studies with some of the era’s finest teachers. Blossoming creatively, Price won both first and second place in the prestigious Wanamaker Music Composition Contest with her Symphony in E Minor and Piano Sonata in E Minor. As a consequence, she broke gender and racial barriers by becoming the first woman of African descent to have a symphony performed by a major American orchestra, the Chicago Symphony, at the 1933 Chicago World’s Fair. 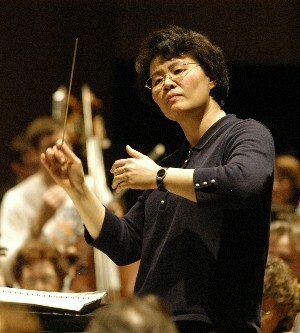 Chen will guest-conduct Price’s 1934 Mississippi River for the CSO for five performances this May. Mississippi River was composed the following year, and is subtitled “The River and the Songs of Those Dwelling Upon Its Banks.” Presaging Copland, the suite weaves together melodies of traditional folk tunes, African-American spirituals and even one Native-American chant. It will receive five performances beginning on May 9, 2013, as part of the CSO’s Rivers series. 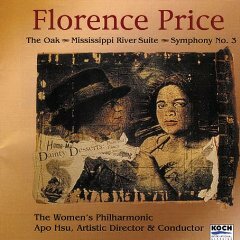 Mississippi River, The Oak and Price’s Symphony No. 3 in C Minor can all be heard on the landmark recording of the Women’s Philharmonic under the direction of Apo Hsu, available in the WPA shop. Price was a prolific composer, penning an estimated 300 works that range from small teaching pieces to large-scale concertos and symphonies and include chamber music and vocal compositions. Her “eloquent” arrangements were championed by both Eleanor Roosevelt and Marian Anderson, according to the New York City Opera’s Cori Ellison. Nevertheless, much of her work remains unpublished and she has rarely (with the exception of the Women’s Philharmonic) been performed since her death in 1953. Certainly Price’s gender and race were obstacles to publication and performance, but Ellison also notes that she was branded “conservative” because her romantic, chromatic compositions eschewed the atonality that became the vogue in 20th century music. 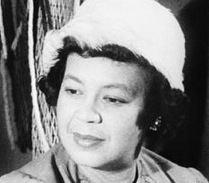 Yet despite this adherence to Western European forms and techniques Price did innovate, by suffusing her music with deeply spiritual and southern roots, in the form of African-American dance rhythms and folk melodies. In addition to the above links, Columbia College’s Center for Black Music Research in Chicago is a fabulous resource for all things classical and African-American. Volume 3 of Recorded Music of the African Diaspora (2011), which we highlighted at this time last year, contains not only Price’s Symphony in E Minor, but her Concerto in One Movement, whose score has been partially reconstructed for this project by composer Trevor Weston. Of special note is a comprehensive discography of music by black composers compiled by the Center. And stay tuned for more on Mei-Ann Chen, whom we hope to feature (and interview!) later this month.